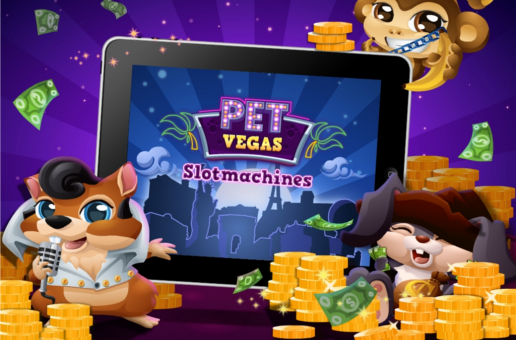 Berlin game developer Crowdpark today released two of its top titles, Pet Vegas and AnteUp, for iOS mobile, just one month after filing for insolvency – and expects a positive outcome in its search for new investors. Crowdpark specialises in social betting games to be played on the web, Facebook and now for mobile, including Bet Tycoon, Pet Vegas (above), 90Live and AnteUp (below), which lets friends bet friends anything on anything. Bids are placed in realtime using Crowdpark’s own “dynamic betting” technology and without a real money payout. Instead, friends compete for virtual currency and social kudos. Martin Frindt, Ingo Hinterding and Christoph Jenke founded Crowdpark in Berlin in 2009. The company has raised a total $8 million of investment funding, including $6 million in Series B funding from Target Partners and Earlybird last year, and – before last month’s insolvency – employed over 40 people. Yet in July, Crowdpark filed for insolvency for reasons undisclosed. The founding team now have three months to work with the company’s preliminary insolvency administrator, Thomas Kühn of Brinkmann & Partner, and merger and acquisition advisory firm Advantum Corporate Finance to find a new investor or buyer. Crowdpark hopes to bring three significant growth markets together with today’s release for iOS, which has been in active development since May 2012. A market report released today by Crowdpark forecasts one billion activated smartphone and 106 million tablet users worldwide by the end of 2012, with mobile gaming, social gaming and online gambling expected to reach $6 billion, $12 billion and $41 billion respectively by 2014. The German government pays employees for three months in the case of a restructuring insolvency. After that time, if an acquirer or investor is not found, Crowdpark is likely to be liquidated. “We aim to keep the team together as much as possible,” Frindt said.